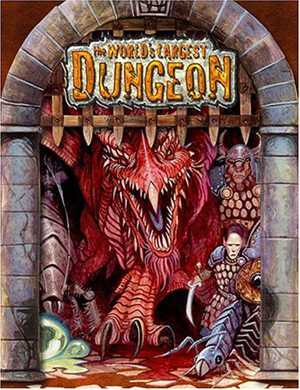 Perhaps few people play megadungeons, but my look at the era when megadungeons ruled Dungeons & Dragons and why few people play them anymore revealed great interest in vast underworlds. So in this post, I present the megadungeons in print or on the web. in print or on the web in a form close to playable. suitable for the focus of an entire campaign from low to high level. too big to clear of traps and monsters, even as the focus of a campaign. 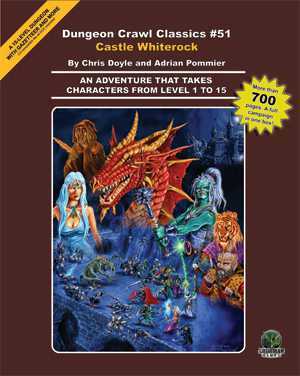 Most of these products attempt to recapture or update the play style of the original campaigns that launched D&D, so many use rules that emulate either original D&D or AD&D. If you prefer advantage, concentration, and armor classes that go up, you can play these dungeons with fifth edition. Just use the monster stats in your new manual and make up any difficulty classes as you go. 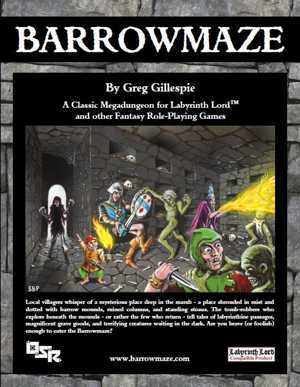 Tagline: Barrowmaze is a classic, old-school megadungeon. Typical reviews: “This is a multi-year campaign in a book. It is an obvious labor of love. If this product doesn’t deserve five stars—easily deserve it—then no product deserves it.” – Greg W.
Snap reaction: With an emphasis on undead and dungeon factions, will Barrowmaze prove too much of a good thing? Tagline: Constructed to match reminiscences of Castle Greyhawk. Rational: The Mad Archmage, an insane demigod, wants it so. Snap reaction: A tribute to Gary’s game that is best enjoyed through heavy nostalgia. Rational: Ambient magic? Insane wizards? The mysteries of Dragon’s Delve remain locked from my gaze. Snap reaction: A mountain of interesting content locked behind the dungeonaday paywall. 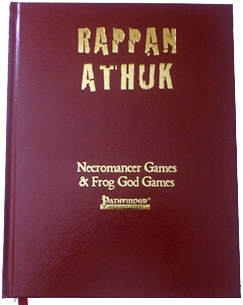 Update: The only trace of dungeonaday now on the web is an adventure drawn from its content, The Tomb-World of Alak-Ammur. Tagline: Come and get a free dungeon room every day. Typical reviews: None. You could be the first to review this product. Rational: A feuding family who practiced abominable sorceries. Snap reaction: A labor of love offered for free. Tagline: The greatest dungeon story ever told. 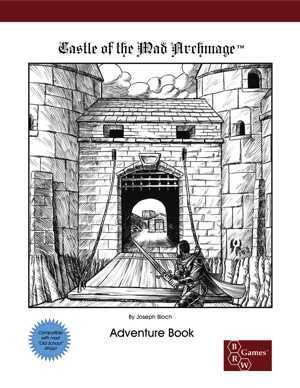 Typical reviews: “Castle Whiterock is an epic endeavor that is the best adventuring product released by any company this year.” – Nathan C.
“The adventure features great encounters, adventure to be had, wonderful villains, great twists in the tale, and many hidden secrets waiting to be uncovered. On the down side, there are some tedious bits.” – Peter I. 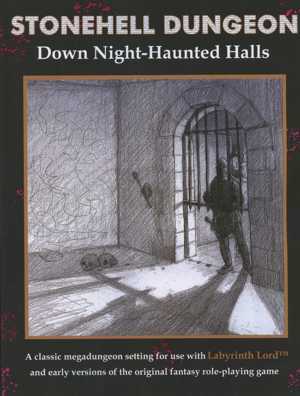 Rational: Traps, magic, and monsters accumulated over the castle’s 1200-year history. Snap reaction: No mere list of rooms, this product builds a campaign with numerous quests around a megadungeon. Tagline: A multi-author megadungeon released in installments in Fight On! magazine. Snap reaction: A strong but uneven anthology that ranges from inspired to silly, just like the old-school dungeons it emulates. The cutaway map calls me to adventure. Tagline: With Dwimmermount, the Golden Age has returned. Snap reaction: An attempt to recreate a golden-age play style that resists capture in print. Rational: An insane creature of immense power living at the bottom level. Snap reaction: This collection of levels created by all-star contributors probably plays better if you divide the levels into separate dungeons. 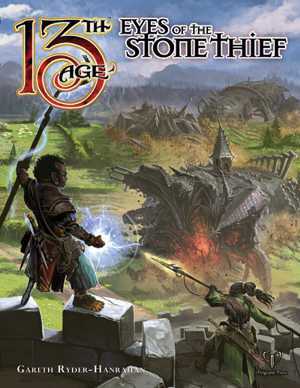 Tagline: The Stone Thief rises. Enter it, find its secrets and defeat it–or die trying. Rational: The dungeon is alive. Snap reaction: A promising example of the living-dungeon concept, backed with advice on running and customizing parts or as a campaign. Tagline: The dungeoncrawl that rules them all! Typical reviews: None. This product hasn’t been released yet. Snap reaction: With a catch-all concept and many contributors, expect a trap- and puzzle-filled dungeon loaded with ideas. Tagline: Enter the infamous ruins of Castle Greyhawk, the most formidable and expansive dungeon on Oerth. Snap reaction: The product every player dreamed of in the 70s, released in 1990 when our expectations had changed. 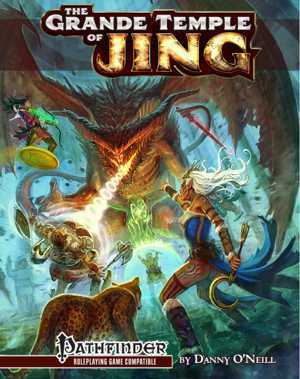 Tagline: Nothing more and nothing less than a good, old-fashioned dungeon crawl. “I’ve been somewhat underwhelmed by a couple of levels, but at the same time, I’ve really, really liked several ideas herein.” – Thilo G.
Snap reaction: Suited to old-school DMs who somehow recruit the rare players who enjoy dungeon-only campaigns, high body counts, and unwinnable final encounters. Tagline: The deepest dungeon of them all. Snap reaction: An outline for a DM determined to create a megadungeon in the Forgotten Realms and willing to dream up the details. Tagline: Enough monsters, traps, weirdness, and treasure to keep you gaming for a long, long time. Rational: A prison where the pain and suffering attracted a powerful, chaotic entity. Snap reaction: Highly touted by old-school fans. Adopts a concise presentation inspired by 1-page dungeon design. 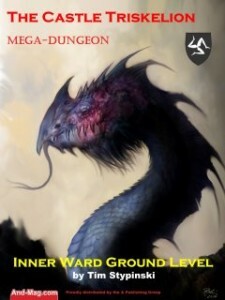 Tagline: Over 16,000 Encounters – A mammoth dungeon unlike any other! Every monster in the SRD – And a few you’ve never seen before! Rational: A giant prison for evil. Snap reaction: Not so much an adventure as a publishing stunt. 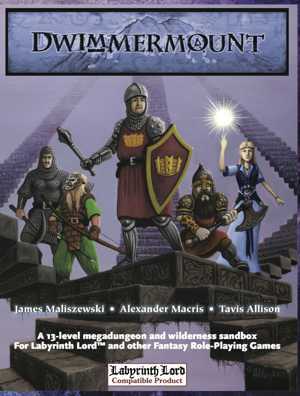 This entry was posted in Products and tagged 13th Age, Advanced Dungeons & Dragons, Barrowmaze, Castle of the Mad Archmage, Castle Triskelion, Castle Whiterock, d20, Darkness Beneath, Dragon's Delve, Dwimmermount, Emerald Spire, Eyes of the Stone Thief, Grande Temple of Jing, Greyhawk Ruins, Labyrinth Lord, megadungeon, Monte Cook, Pathfinder, Rappan Athuk, Ruins of Undermountain, Stonehell, Swords & Wizardry, World's Largest Dungeon. Bookmark the permalink. Thanks for suggestion Castle Gargantua. With a combination of random areas and mapped sections, Castle Gargantua looks like a unique product. That’s how the Grande Temple of Jing works. You’re not meant to go through the book front to back. You’re meant, as a DM, to pick and choose what you want your party to die on. I mean experience… Did I say die? Oh man… Not that death needs be permanent when you’re dungeoncrawling through the home plane of a god, especially one that likes derring-do and grand adventures….. and gold. lots and lots of gold. You got some good ones there – but I really think Anomalous Subsurface Environment (ASE) deserves a mention (and a look if you’re unfamiliar). I’ve heard good things about Anomalous Subsurface Environment. I didn’t know it was big enough to qualify for my list. Thanks for the tip! I guess the line is blurred for what makes a mega dungeon, is it levels, is it total keyed encounters? – Also Slumbering Tsar probably can be considered a mega dungeon, or at least contains a mega dungeon as its 3rd act. The 2nd act is a fully keyed city that functions very much like a open air mega dungeon, and the 1st act is an overland area that contains the city. Oh and it is amazingly good. – You also have smaller dungeons that people still consider mega dungeons, such as Tomb of Abysthor, Maure Dungeon and the Caverns of Thracia. Thanks for suggesting some other dungeons for consideration. 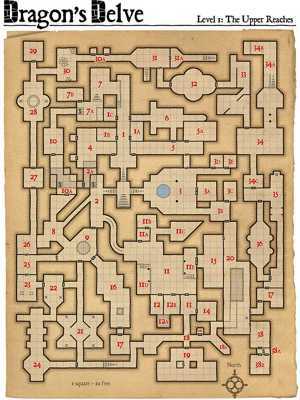 I do think that the original Temple of Elemental Evil qualifies, particularly counting the Elemental Nodes. 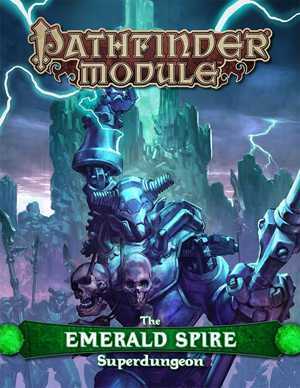 We are playing it as a casual game with rotating players (for more, see my blog: https://mindlands.wordpress.com/2015/07/18/temple-of-elemental-evil-is-moving-forward/), and I actually think we might get some sort of conclusion. 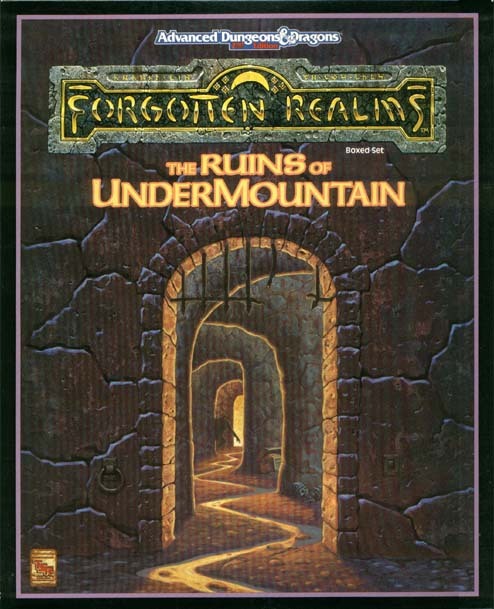 It is not the size of Undermountain, but clearing it completely, with new monsters wandering in, and with the different factions reacting to the characters, seems unrealistic. Undermountain was never meant to be cleared. 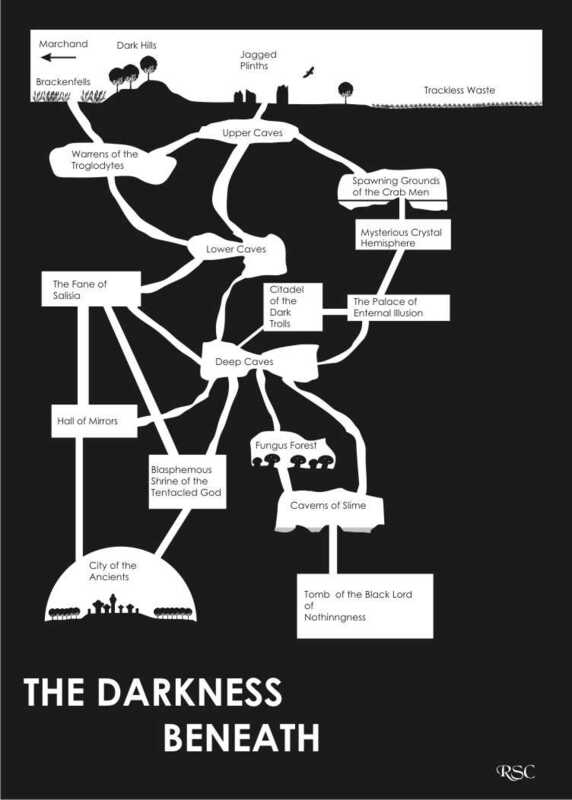 It was meant as a basis for a dungeon campaign with many forays into the dungeon. That’s the main reason most of the rooms were never filled in. It gives the DM a clean slate, so to speak. Fantastic. Gaming such as this inspired The Iron Realm Podcast. I would very much like to get my hands on The World’s Largest Dungeon. 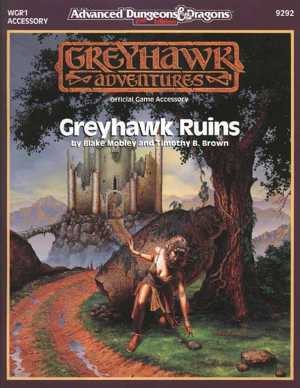 Greyhawk Ruins intrigues me as well. Thanks, Dave, for the comprehensive list. Please do add to this if other products come to your attention – or perhaps create a Part II. Looks like Dungeon a Day has been taken over by someone pushing steroids. Barrowmaze is available for DND 5e now.